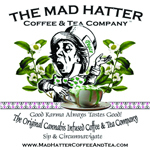 Mad Hatter Coffee & Tea Co. has been a pioneer of cannabis-infused coffee since 2007 and a veteran of the cannabis edible infusion industry.They offer a truly healthy alternatives to smoking: sugar-free, gluten-free, fair trade and organic tea, coffee, chai, mocha, cocoa, and mushroom elixirs with additional herbs and spices for alleviation of specific conditions for the patient or their New Mocktails as an alternative to smoking and alcohol. 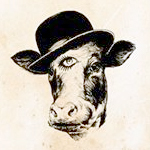 All products are fully activated and varietal specific!Quality is the hallmark of their product line. Using only organic ingredients and critically extracted CO2 oil for superior flavor and aroma. 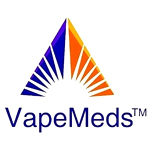 They have been lab testing our products since 2008 for transparency and consistency, which allows the client to ‘Sip & Circumnavigate’ with confidence. 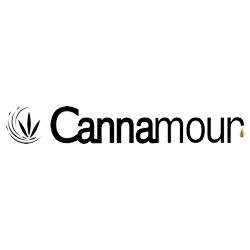 Cannamour is on a mission to offer a luxury, CBD and THC infused skincare line.